A Roccia 3 roll bending machine utilizes 3 driven rolls to ensure the rolling torque power transfer. This way a strong material grip is assured between top roll and lower roll with the [MAP] material pinching system. ROLL CAMBER CALCULATION. 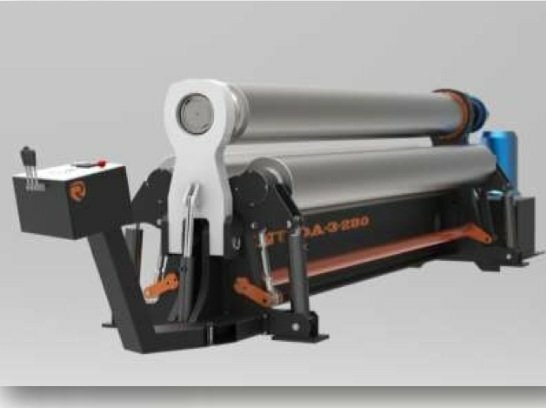 Roll camber is required to counter act roll deflection that occurs as bending forces are applied, so as to ensure a perfect closing of the longitudinal seam, it is a vitally important factor. If the camber is calculated incorrectly, the result will be, (1) a barrel shaped cylinder ie not closing perfectly along the longitudinal seam, gap in the middle, (2) an hour glass shaped cylinder, the longitudinal seam touching in the middle, but not at the ends. 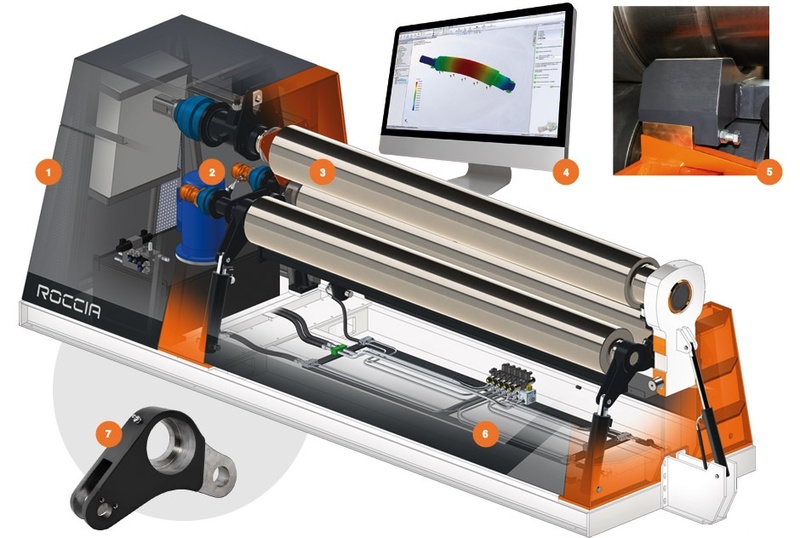 ROCCIA roll dimensioning camber calculation are done on sophisticated 3D cad software that produces all the critical data required for every step of the rolling process. Roll calculations are seldom to standard formulae, no, they are calculated around customer requirements, this being, material type, mechanical strength, material thickness, the rolls cylinder length dimension. Only this way can we grant the performance and the precision of the plate rolling machine we manufacture for you.